2014 was a year where the world not only has seen an increase in regional conflicts, it also ended with a sharp rise in accident fatalities compared to the year before. Four major air disasters with over 100 fatalities in Malaysia, Mali, over the Indian Ocean and in eastern Ukraine caused 815 of the total 970 fatalities last year, a share of 84 %. 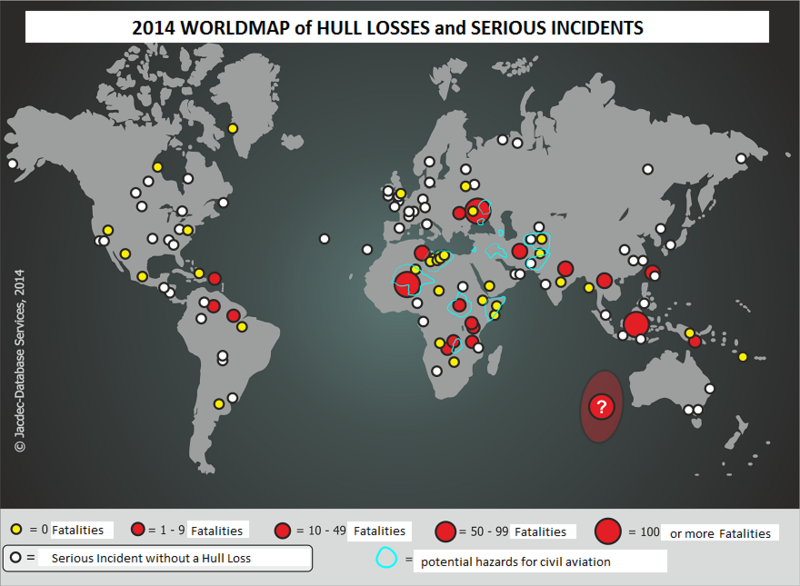 JACDEC recorded a total of 50 hull losses (meaning anoccurence in which an aircraft was destroyed or damaged beyond repair), 171 serious incidents and 271 less severe incidents.